Yesterday, Monday 20th May, saw the delivery of the first of three lever frames for the layout, this one being for Kankool. The frame was built by Tony Kociuba from McKenzie in H.O.Lland. 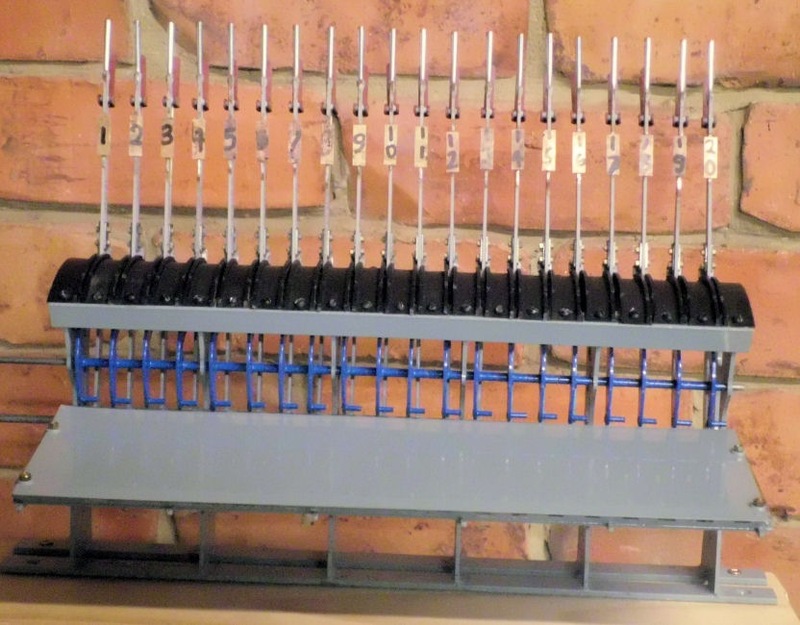 It has twenty levers for twelve signals, three turnouts, four facing point locks and one spare. The frame is fully interlocked for all possible train movements through Kankool. It is of the cam and tappet type machine commonly used throughout NSW. It is a superb piece of model engineering and a work of art. 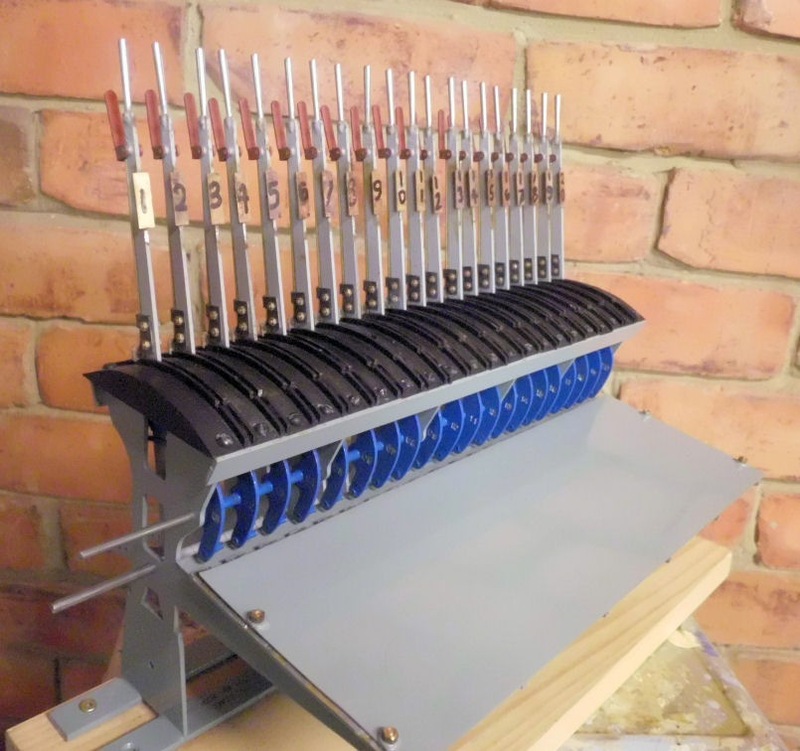 The main frame and levers are made from laser cut steel, with the locking bed and other bits fabricated from brass. You may notice that the lever number plates are just a very basic brass plate at the moment, but I have some ideas on making them better looking. Below are a couple of shots showing the frame with all levers in the normal position, and also with levers reversed for an Up train movement on the mainline. It will be a while before the turnouts and signals are connected to the frame, but at least I have it on site now so I can plan its integration into the layout fascia. 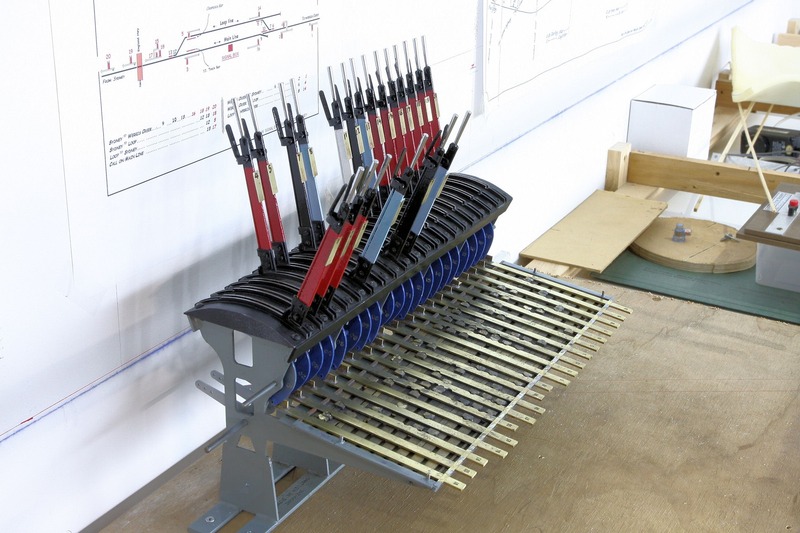 As described in the Layout Stats, all turnouts and signals at Kankool, Ardglen & Pangela will be operated from fully interlocked mechanical frames, as per the prototype. The frames are being built by Dale Richards from McKenzies, and he has commenced construction of the Kankool frame. He has sent me some photos of the progress so far. Credit must go also to Tony Kociuba from McKenzies who had this frame on standby. 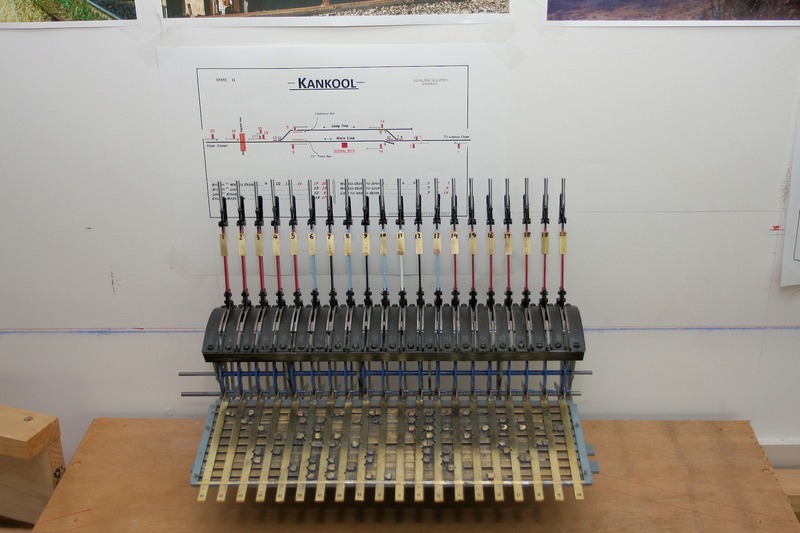 Kankool was a 20 lever frame. The model will be 315mm long, 260mm high & 170mm deep. I hope to integrate the frames into the front valance of the layout at each location, possibly within a recessed area for protection. I am really looking forward to getting the Kankool frame, even though it will be a while before it is actually operational.